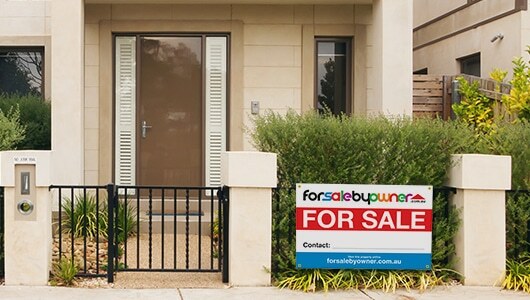 Your property will be listed on domain.com.au, until sold. 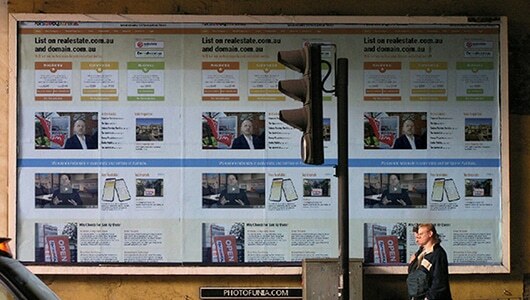 Domain.com.au is part of the Fairfax Media Network and is one of Australia’s leading destinations for property seekers. 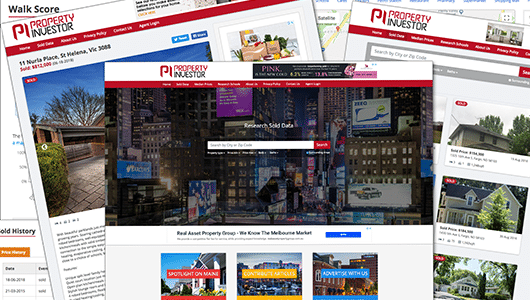 Property Investor Australia (propertyinvestor.com.au) provides research tools and sold data for Australian properties. 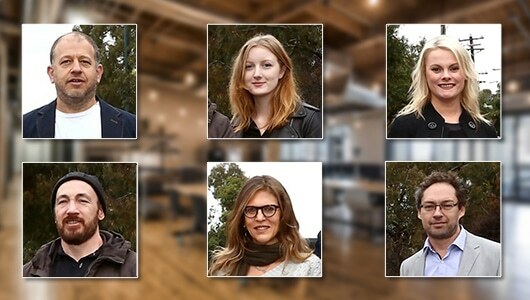 Their data is collected and collated from numerous sources and presented in an easy-to-access format to allow investors to be able to research sales trends, sales history for specific properties, and to access other relevant data. Under an exclusive agreement with For Sale By Owner, all of our customer’s properties are now also published their website. This is a unique opportunity to have your property marketed to property investors not just in Australia, but internationally as well. 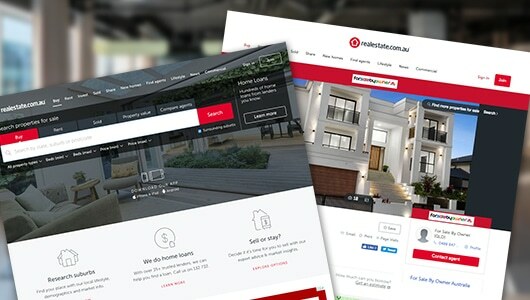 propertyinvestor.com.au has generated a good number of additional enquiries for our customers and we highly recommend your property be listed on this site. 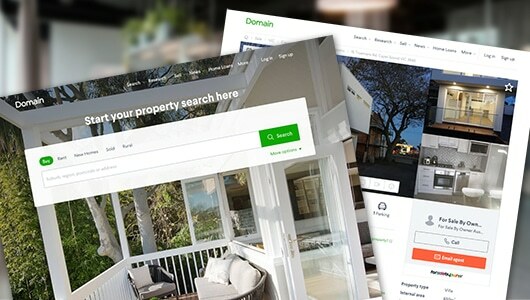 Over-and-above realestate.com.au and domain.com.au, your property will be listed on forsalebyowner.com.au, as well as a variety of other portals. 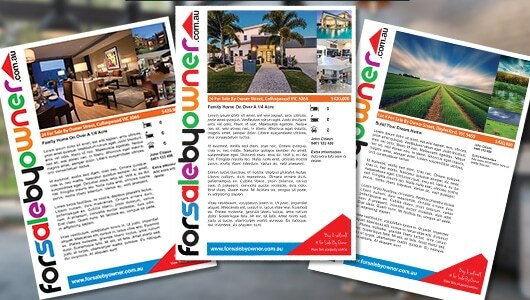 The forsalebyowner.com.au website is frequented by a wide range of buyers, and many successful sales have originated from our own website. 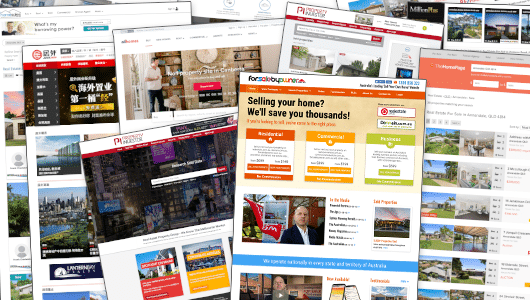 Some of the other portals to which we publish include juwai.com (Chinese Portal), homely.com.au, homesales.com.au, thehomepage.com.au, millionplus.com.au (where price is > $1 mil), realty.com.au, and allhomes.com.au (optional – additional fee for certain postcodes in NSW & ACT). These additional portals are a great resource for both buyers and sellers. Our Photo Boards are a great way of presenting your property professionally to the public, and attracting buyers who may not be actively looking online. After submitting photographs and text for your photo board, we will prepare a proof for you (usually the same day). You will have the opportunity to make as many changes as you like, until you are happy with the final design. Metro properties include professional installation. A driver will come out at a specified time that suits you, and will install the board in your desired location. Non-Metro properties will be sent as a Flat Pack (delivered by a courier), which you will need to assemble it. Photo boards do not come with an ‘Open Now’ Flag. You can however order this from within your account once you have signed up. All accounts come with a professional ‘For Sale’ Board. Our boards are light but tough, weatherproof, and easy to install. 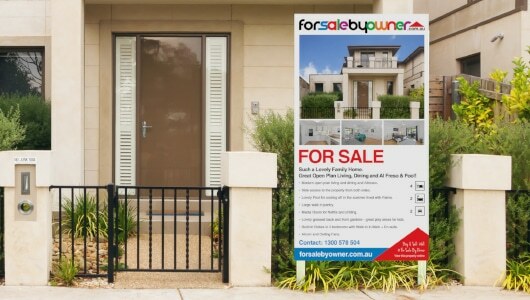 A ‘For Sale’ board is an ever-present sales person for your property. Let the neighbours know that your property is for sale as they might have friends or relatives who want to move into the area. Your ‘For Sale’ sign will generally be sent out as soon as you have confirmed your delivery address. In most cases your sign will arrive within a few days. Together with your board, we’ll also send you a welcome pack, including a buyer enquiry notepad, and large ‘Sold’ sticker. Good quality photographs are an extremely important element in the marketing of real estate. Not only do listings with professional photos usually generate more views; they also allow you to present your property in the best possible way and give sellers a more positive impression of you, the seller. In order to sell your house through us, it is not a requirement that you use professionally take photos. The majority of our customers take their own photos, and it’s fine if that is what you would also like to do. However, where possible, we do encourage customers to have professional photos taken. This can make your marketing campaign so much more professional. 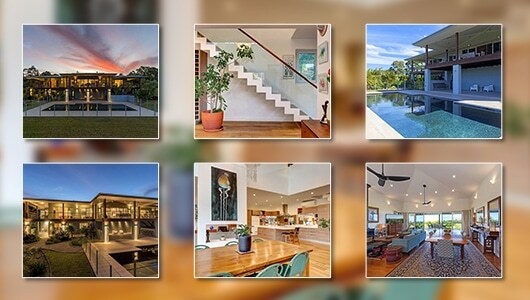 Our photographers specialise in real estate photography and are able to service most areas in Australia. You will be able to set up a date and time with our photographers shortly after signing up. In most cases a photographer will be able to attend within a few days, and your photos will generally be available within 24 hours. Professional photography is included in our Essentials Plus+ package, or can be bought as part of the Essential Plus+ package (in addition to a 1200 x 1800 photo board), and includes 10 daytime photos. If you require a twilight shoot or more than 10 photos, please contact us. 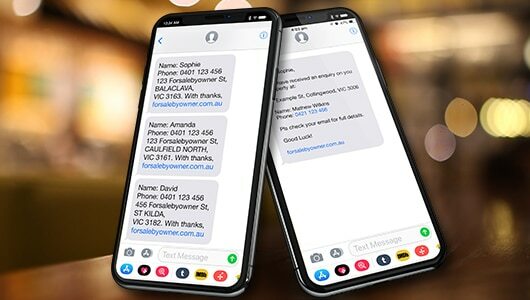 When customers phone the number listed on any of the websites on which your property appears, they can obtain your details using the property phone code. You’re welcome to use the demo number and code below should you wish to test how this works. Knowledge is Power. Our property reports provide invaluable information about property prices in your area. 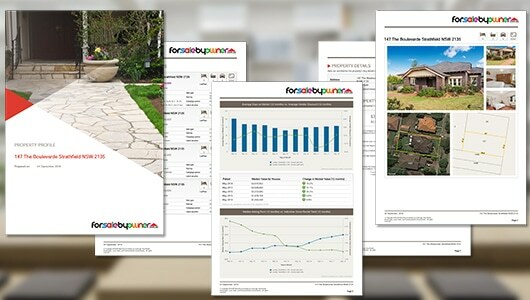 The property reports you will receive list your actual property (where available), and actual sales data for your street and suburb covering the last 10 years or so. exactly the same reports that many estate agents use to provide property appraisals. Access to recent comparable sales in your area puts you in a better position when negotiating with buyers. These reports therefore are not just important when determining the selling price of your home; they will also be of great help when dealing with potential buyers. Property reports are available for all states and territories in Australia. 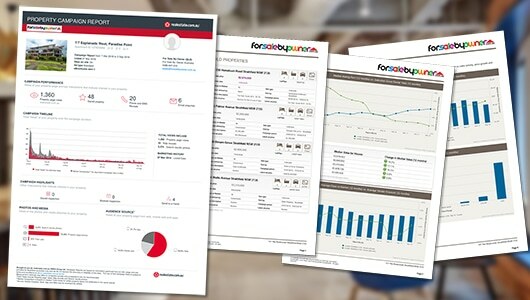 Campaign performance reports straight are available for all properties for sale, and can be setup to automatically arrive in your inbox each week. These reports will give you an exact overview as to how many people have viewed your listing and how many enquiries have been made. 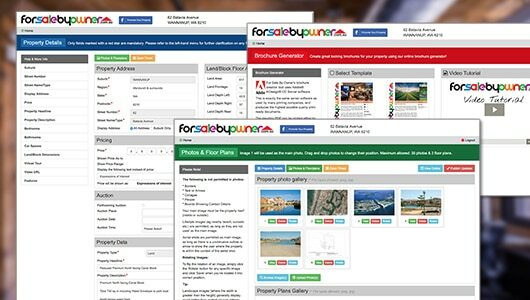 Views: User interactions that indicate an initial interest in your property. Engagement: Indications of a deeper interest in the details of your property. Saving & Sharing: Interactions that indicate ongoing consideration of your property. Enquiry: Interactions that imply plans to visit your property or contact you. Our Essentials Plus+ package allows you to choose either a 1200 x 1800 photo board, OR professional photography. When signing up you will have the option to select either. If you would like both, you will also have the option of purchasing both when signing up. Includes everything except an 1200 x 1800 Photo Board and Professional Photography. Includes everything listed, and either an 1800 x 1200 Photo Board OR Professional Photography. Your package includes either a Photo Board OR Professional Photography. If you would like to include both, that is also possible below.